A residential building owner walks into his office as he would on any regular day. Around mid-day, he gets a call from one of his tenants, distressed and frantic over the phone about major damages to the building due to a pipe leak that took a turn for the worst. If only he had turned to SAYA Life for assistance, the company could have helped eliminate the effort, time, and cost for fixing the problem. Water is the most essential resource for human sustenance; this indisputable fact was what motivated the creators of SAYA to center their offerings on the effective measurement of water consumption and consequently, encouraging its conservation. 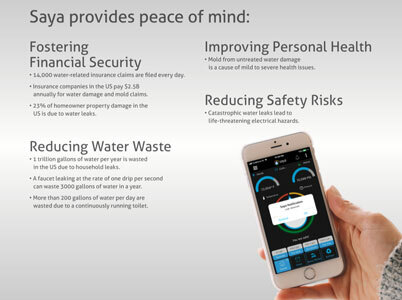 “Customers should not only know about the water bill but also have access to facts and figures that show the usage of every drop of water,” asserts Sanjay Poojary, president and CEO of SAYA. Apart from pipe leaks—which is a leading cause of water wastage—faulty home appliances such as dishwashers and washing machines can also account for significant leakage, the latter being more difficult to track. SAYA equips buildings of all shapes and sizes to detect and prevent any kind of leaks and helps them to manage water consumption efficiently. The company’s solution stack leverages cutting-edge IoT frameworks, sensors, and big data analytics. 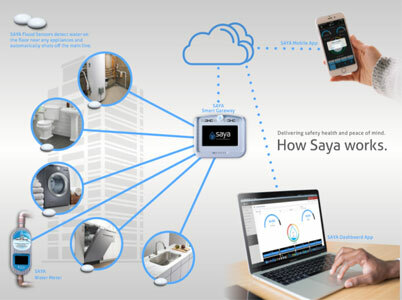 “SAYA’s water management system includes leak detecting sensors, pressure sensors, ultrasonic sensors, flood sensors to name a few, along with smart control meters and a wireless gateway that connects to our cloud platform,” says Poojary. The hardware stack can be installed in a residential building on the main water line entering the building. Once installed, the system self-calibrates using the company’s algorithm and creates a unique water signature for each home. The sensors can detect leaks from appliances or pipes at an early stage before they can turn catastrophic. They can even monitor the temperature of water to prevent instances of frozen pipes. Tenants and residents in the building can access their water consumption statistics through SAYA’s mobile application. In the event of a leak, a notification is sent to the users’ smartphones whereby they can shut off the particular appliance or system responsible remotely through SAYA’s cut-off valve. Moving up the hierarchical roles pertaining to water management, property owners can view all usage and leak information about multiple buildings or apartments on a single dashboard as data from more than one meter or sensor can be linked to a single gateway. Utility and insurance companies can use the data collected by SAYA’s system to create and adjust policies and rebates for buildings or a particular zone. In commercial buildings, SAYA’s water management system even includes clamp-on sensors that can be placed on top of the water line. 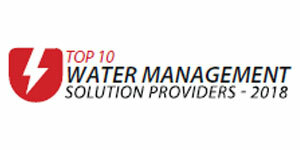 SAYA’s expertise has led them to assist the Los Angeles Department of Water and Power (LADWP) in various projects. With its water management system, the entity can deduce how much water, buildings at a particular area or zone consume on average in a month. The information collected also indicates if smart appliances owned by tenants play any part in reducing water usage. The data collected by SAYA’s system provides crucial insight to LADWP and helps them make informed decision to mitigate future leakage risks. Having a modular solution that has established its value proposition in tracking water usage and leaks for commercial, residential, and individual homes, the company plans to scale its capabilities in elevating and evaluating even the quality of water. Along with delivering a complete water management solution, SAYA intends to broaden its offerings spectrum to monitor air quality and energy consumption as well.